Warning, this blog post is a mix of stuff! I'm also working on some new stuff for my TN store (sale ends today!) and I'm super excited about it, even though I haven't sold a thing yet lol (but it hasn't been open a week yet anyway). I'm also excited to see that my St. Patty's Day unit has had 102 downloads! Wow! I like being able to see what gets downloaded, because then it gives me an idea of what people like. I've gathered people really like literacy units...so that's what I'm working on now. I'm working on a sentence unit that has a super cute poster that I love! 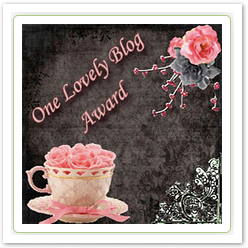 I give this award to Melissa from Teaching Fashionista. Tina at Good Morning Mrs. Rubie! As you can tell, I gotta support by sub buddy bloggers! Ok so that's not 15, but that's 7 and that's 1/2 and more than 5! Have a great Saturday everyone! Thank you so much!! It was so nice of you to include me :) happy weekend! Congrats on opening up a TN store. I just started one up, too. Slowly get some products on there ... good way to spend my snowed-in day. I'm number 192! You're getting closer to 200! Woohoo Patty! Thanks... that's only 8 away from a giveaway, yay! Thanks Tina :)Glad to have put a smile on your face! I hope you have a lovely week too! Thanks for the sweet comments you leave on my blog. I have appreciated your kindness SO much! Also, thanks for giving me some "new" blogs to explore. Finally, wishing you a good week ahead (with no growls and not much paint). Lol :) I hope for no paint and growls either! Ms. T- thank you for passing along that lovely award! Can't wait to check out your new shop! YAY!! I love your blog & think your AWESOME! Thanks so much for the award! It was a nice surprise.